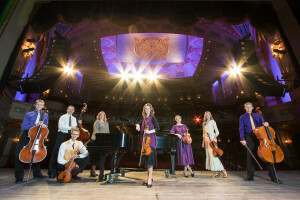 The Johnson Strings will present a Christmas concert on Dec. 10 at the Assembly of God Church in Winner at 7 p.m. Prior to the concert, there will be a supper from 5:30 to 7 p.m. This award winning university trained family of eight combines instrumental expertise and tight vocal harmony to create a powerful performance. Their fiery fiddling, rich depth, soulful melodies and genre-breaking style draws listeners into the musical experience. The public is invited to come and enjoy the music.